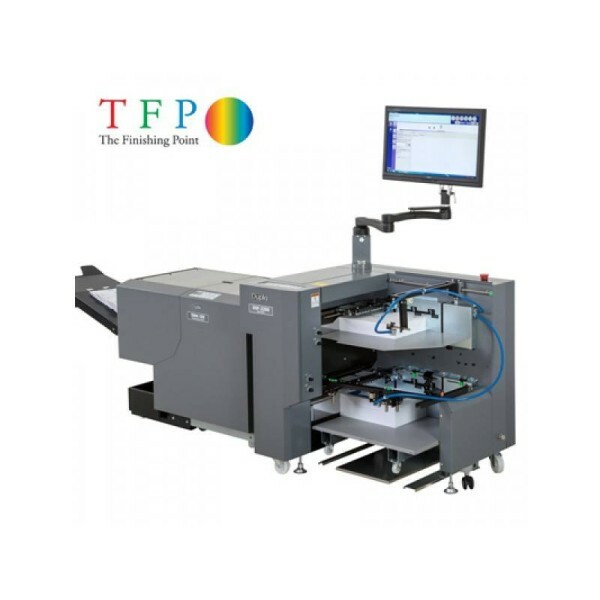 A range of Booklet Makers for the digital and traditional print markets including basic hand-feed systems designed for the low to mid volume user through to high end fully automated digital solutions with inline crease and slit options. Booklet Makers comes in all shapes and sizes from compact low volume desktop solutions such as the Duplo AutoBookie Pro to high end, high capacity booklet makers such as the Muller Martini or the Ferag range of machinery, both of which are used for the creation of some of the most common magazine and newspaper brands. 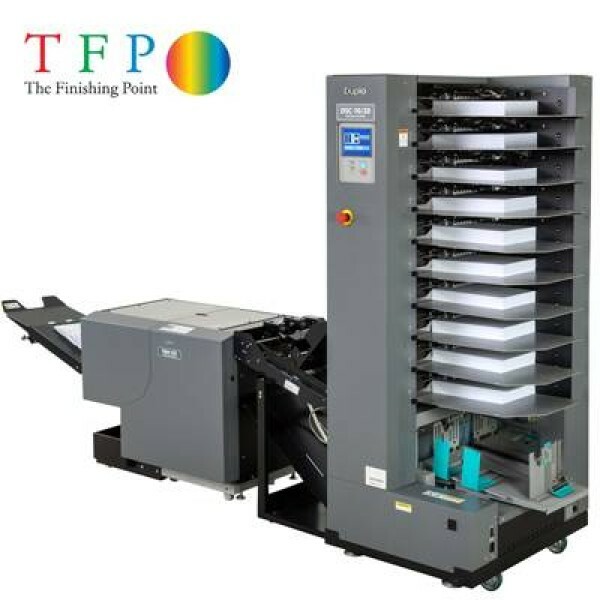 Probably the most common application for booklet makers is booklet production alongside a digital print engine for high quality, on demand booklets or magazines. Volumes of work tend to dictate the machinery requirement with high volume production from a lithographic press more suited to a Tower Collator fed unit into a stitch, fold and three knife trimmer. However, digital output is far more convenient and commonly produced in a collated sequence rather than individual sheets as a Lithographic press would produce. As a result of this style of output tied to the fact that most volumes of work are quite low for each production run and the common requirement for several different styles to be produced in any given day favours machinery that is either hand fed, such as the Duplo DBM150 & Duplo DBM150T or incorporates a digital feeder, such as the Duplo DSF2200 which is able to feed materials in collated order from a twin feed bin setup. Digital Feeders vs Collators - Which is Best? 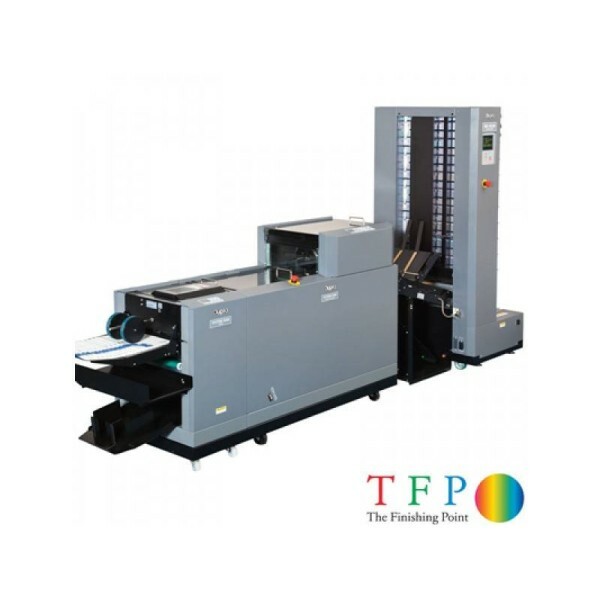 Digital feeders are a variant of the traditional collator towers utilising vacuum feed technology to feed the materials through to the booklet makers. However, unlike a traditional collator tower which takes singular sheets from each of the feed trays to create a single booklet set, a digital feeder is able to take multiple sheets from a single feed tray to create the booklet set from an already collated output. The advantage of this method is the fact that you can virtually start production from the first delivered output from your digital print engine whereas, with a traditional lithographic output you need the entire job to be completed before booklet production can commence. There are many different types of digital feeder currently available on the market with both single and double feed stations as well as full collator towers, such as the latest Duplo Intelligent i Towers, able to feed multiple sheets from each feed tray via special program functions. 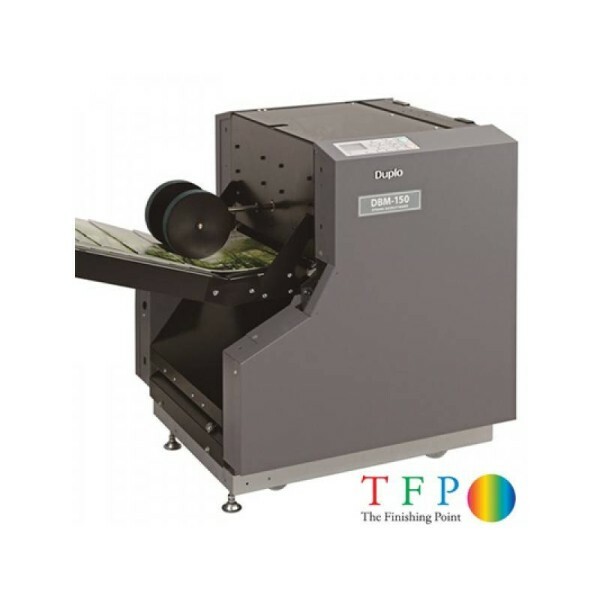 Further to this there are also digital feeders with integrated creasing and slitting, such as the Duplo 350CR which allows for three sided trim functions to be completed in two stages but removes the need for a guillotine in the production cycle. The inclusion of the side slitters in this setup increase productivity as finished sheets can be taken directly from the print engine to the booklet maker, totally removing a normally necessary step in the production line. Traditional collator towers, such as the Duplo DC 10/20, offer much higher productivity speeds once setup and running, as they only take one sheet from each active feed tray the collator can run much faster than a digital feeder which needs to count the sheets in to the booklet maker before activating the stitch, fold and trim. However, as mentioned earlier, a collator needs the complete set as individual pages to be loaded before you can start production, this means printing in an uncollated sequence which although faster for the print engine does mean the booklet maker operator is waiting for the print run to fully complete before starting his work. So which is best? Well it comes down to your application rather than denoting an outright winner as their is demand for both collators and digital feeders. The easiest way to address this conundrum is to take a look at your production style, if you are a volume printer using traditional printing methods then a collator tower is by far the superior option. 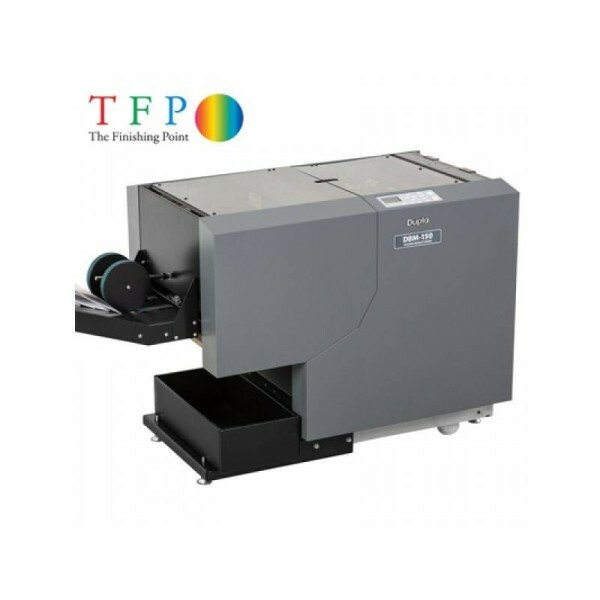 However, if you are a short run on demand digital printer then the decision is just as clear in the opposite direction and a digital feeder would be the choice. 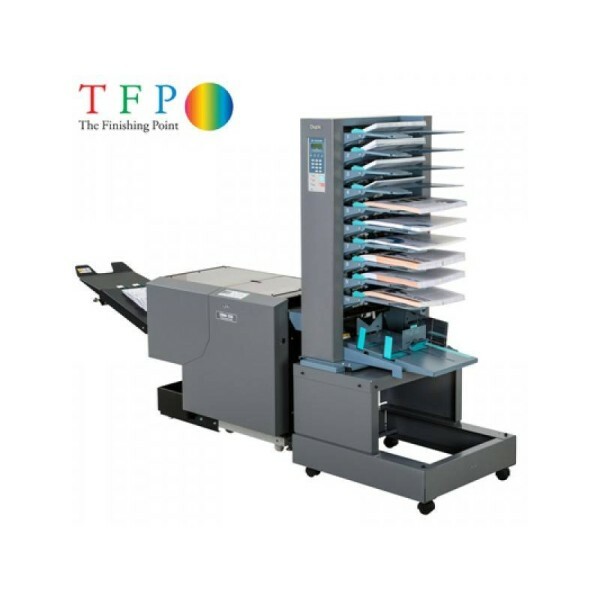 The difficulty comes when you produce both lithographic and digital output as a digital feeder cannot offer collation of your individual sheets but does improve the speed of production within your digital setup. 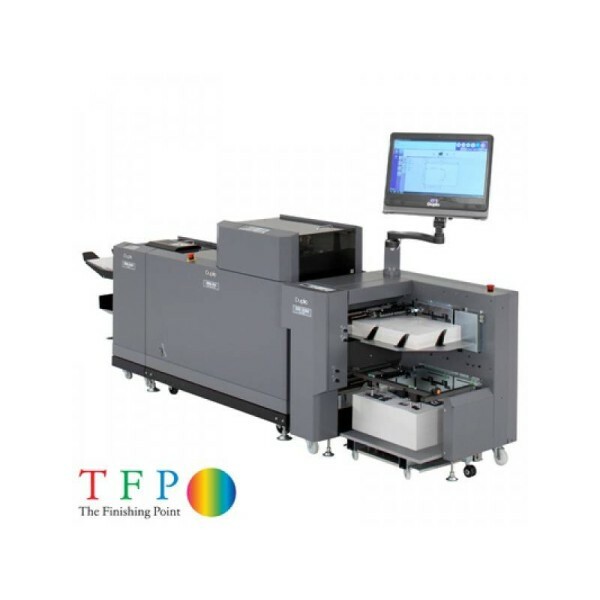 This is often the reason why larger printers have both a dedicated high volume booklet making machinery for the lithographic output and a digital sheet feeder system for the digital output, overall this is by far the most versatile and will give you the fastest Return on Investment. Stitching or Stapling, Why Two Options? The advantage of stitching heads is clear as all the higher volume machinery on the market use stitch heads and not staples due to the fact that a stitch offers a far stronger bind over traditional staples, higher running speeds, more versatility and most importantly of all far lower cost to run. However, it is not that straight forward as often the volumes needed to warrant the need for stitching heads are not present in the digital print market, especially the short run on demand setups we see most often. Further to this the advances in stapling technology has made the binding strengths of electronic stapling technology virtually identical to that of heavy duty stitching heads. This takes away a large proportion of the advantage of stitching over stapling and means the only real advantage is cost savings for higher volumes and speeds of production. 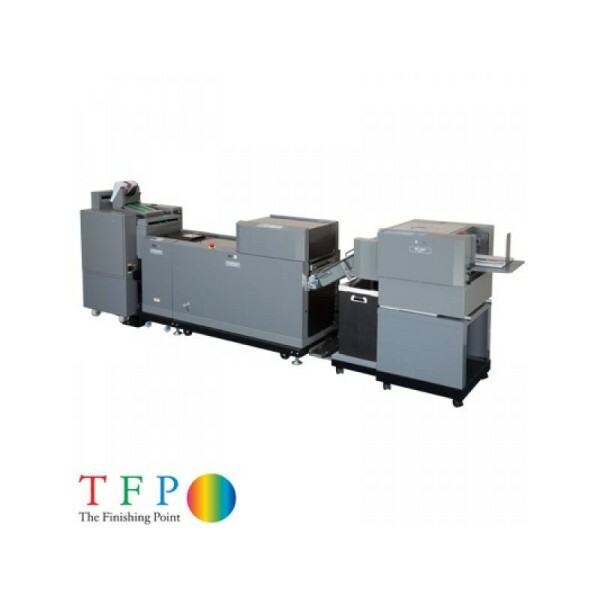 Therefore if you are running high volumes then clearly booklet makers such as the Duplo 350C or digitally fed Duplo 350DBS are far more suited to your application. However, if you are really a short run on demand setup and want instant make ready and simplified cartridge changeovers for the staple heads then the Duplo DBM150T, Duplo 150C or Duplo 150DBS booklet makers are the models to opt for.